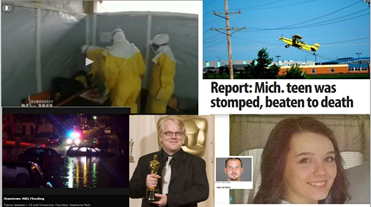 2014 was a remarkable year with some pretty big headlines the world over. China passes the US in the size of its economy, the Spanish king steps down from his throne, and the western US states struggled through one of the biggest droughts in history. These were just a few of the bombshell headlines that were correctly derived from dream material and accurately predicted ahead of time at the NDC. What’s more, these didn’t even make the top 10 in our 2014 Countdown! It was really difficult trying to rank order all these varied and spectacular predictions. For example, the fact that the Gold market has fallen on its face throughout the past few months was accurately predicted by some spooky linguistics back on July 31st, when the DreamBot2 said, “Finished gold bar system known acting crash totally.“ One thing we learned from this particular phrase is that while these dream predictions do have a high reliability rate, they tend to exaggerate the future. Gold hasn’t “Crashed Totally,” but rather it’s down almost 10% from its high in July, but along the way it saw some very scary free-falls. All throughout September, Gold decreased in almost every market session…it looked like a mudslide. So while there are enough predictions to actually do a top 100 countdown, I unfortunately don’t have the time to embark on that venture. I hope you’ll enjoy this compilation instead. Just so there are no hard feelings for picking some predictions over others, the first priority was the inclusion of readers’ votes, and for tie-breakers I used popularity (the number of people who viewed the material), significance (the number of people who were affected by the event), and finally, the level of attention that was given to the meme from the mass media. And before we begin, we need a quick shoutout to Grady and George. Grady is the one who designed the bot that we converted for use with dreams, and he uses his version for his own site: www.nostracodeus.com. George Ure’s site, www.urbansurvival.com , supports us with fresh readership periodically and was the original creator of the National Dream Center. Without the help of these two individuals, we wouldn’t be discussing a Top Ten list! On the morning of October 28, 2014, an unprecedented bot run that resembled a grenade was thrown into our laps, and still this run is the only true and spectacular double red alert in our portfolio to this day. No one voted for this story because I forgot to put it in the voting lineup. But it definitely deserves a spot in our countdown because there’s simply no way to argue against the correlation between our bot run and the news that followed in the next four days. The double Red Alert was interpreted as two separate memes: 1. Spaceship and 2. Food. Based on a very low sample rate, I estimated an 80-88% chance that these memes would be separate events and would probably show up within 2 day’s time. Correct on one account, incorrect on the other. 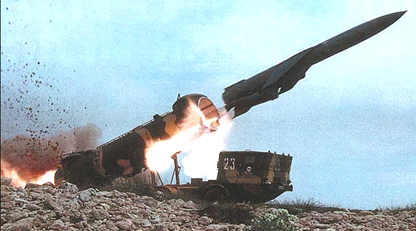 Within hours of publishing this bot run and sending out our Red Alert, the first unmanned space rocket exploded shortly after launch and took over the top headline in every mainstream news outlets that evening. It was NASA’s Antares rocket (that some news agencies called “an unmanned spaceship”), which was headed to the International Space Station for a resupply. It turns out that every word in the bot run that supported both memes was adequately covered in this single story. Although no definite confirmation was discussed about the Food aspect of this Antares story, it doesn’t take a rocket scientist (sorry had to do it) to figure out what sorts of things a “resupply” spacecraft would be carrying to the ISS. But this wasn’t all. 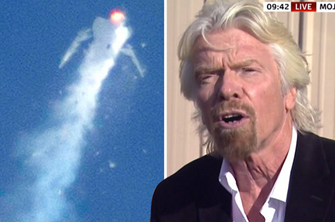 Just 3 days later, Richard Branson’s first manned spaceship starts falling apart mid-flight, and one pilot was killed while the other severely injured as it plummeted over 40,000 feet to its eventual crash-and-burn. This was quite a story all the way around, but even more amazing is the fact that the collective unconscious already saw this event coming ahead of time. Headline 1: President’s cabinet member [a physically small man] resigns from office. Headline 2: The President’s approval rating plummets. We found out that dream linguistics have similar manifestation times as do precognitive dreams, and both of these manifested before August. 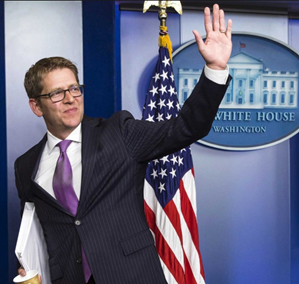 As if it wasn’t a big enough story that the Veteran Affairs chief stepped down, the real (and strange as the linguistics suggested) bombshell was the White House’s own Press Secretary, Jay Carney, stuns the world by saying that he was sacrificing his job to bring health back to his family life. This was a surprising yet laudable move, and it netted us a big hit for dream linguistics. For some reason, certain dreamers have a tendency to remain in the same genre when receiving precognitive dreams. This story will end up being a big financial drama, and how interesting is this….it came through the same dreamer who pegged the fact that China was going to overtake the US this year in economic size. Indeed, this would be just one tiny aspect to Sherriann’s growing repertoire of successful and accurate DreamSeeing. If you like metaphors, then you’ll certainly want to see how we finally cracked this one. Basically, Sherriann saw the woman in the above photo, and after a long research trail, ended up being the President of a country who was about to put up a big middle finger toward the Western oligarchs. This was a big story, and one that was pseudo suppressed until it appeared that the financiers were not going to win the battle. Meet the powerful “mother entity,” named Cristina Fernandez de Kirchner, a native and President of Argentina. 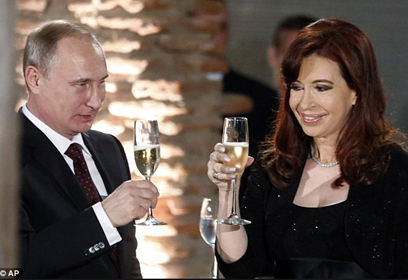 It turns out that the picture you see above was taken just days prior to the big default that the country of Argentina would endure. Instead of refinancing the vulture-like debt that the West is so well known to spring upon unsuspecting countries that need “a little guidance,” she opted to stand up and say, go to hell (I doubt those actual words came out of her mouth, but in essence that was the story). I am hearing an announcer as on TV or a documentary. While he is speaking I am seeing what he is talking about. We had hints of that in last week’s images and in the unscheduled previews that were seen a few days ago, and in that short time it has become clear that this is no ordinary comet. Like its name, it seems that comet 67P/C-G is in two parts. …and that’s exactly what lilrose8 saw…a contact binary with a very close elliptical orbit around the sun. 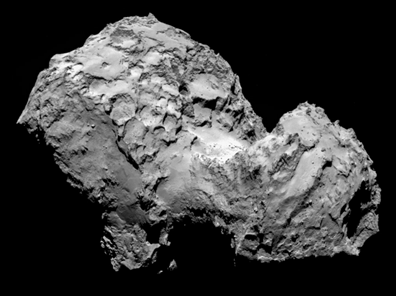 She saw 67P/Churyumov-Gerasimenko in two pieces before the scientists did! And then I look down and see a security alert, like a white paper issued by the state department. On it, it said missiles were located on July 28. My husband was demanding my attention as I was trying to read this alert and I kept trying to get him to leave me alone because I needed to read this paper for Project August. He wouldn’t stop pestering me, so I couldn’t finish reading the paper. And then I woke up. 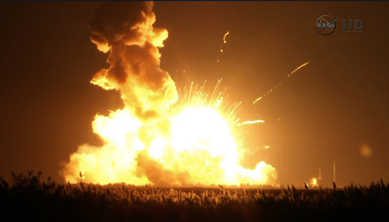 The biggest news story on July 28th, 2014 would end up being plastered at the very top of every news outlet: “U.S. Accuses Russia of Violating Arms Treaty.” It’s pretty obvious now, but this major headline eluded us for a couple of days until we put 2 and 2 together. It actually required a quick scan of the article to figure out who in the US was making the accusation (the State Department) and what they found in Russia (ground-launched cruise MISSILES). Of course, the dream itself predicted the find to occur on the 28th, but what really ended up happening is that the State Department’s white paper was issued or released on the 28th. This illustrates the associative work with precognitive dreams, and thus the reason we have sliding scaled scores for our results instead of just a Yes or No. Also, during Project August, we began realizing that dream overlaps were a better gauge for future events than just “winging it” or rolling the dice on which dream material was predictive and which was not. Therefore, it goes without saying that Tessie’s dream had a similar overlap, and the overlap would give more detail about whose missiles were found. Specifically on June 1st, Dream Yoga Master was shown a Russian agent involved in “criminal activity involving illegally made weapons.” The Russian ended up being caught and detained (albeit temporarily). This dream overlaps in that we have Russian-made weapons that were found, which was just enough overlap to identify this incredible event about 2 months prior to the State Department’s white paper and major announcement. Project Uno: One Heck of a Dream Test! We formed a mini competition from Project August, and because the focus date of this single-day offshoot was August 1st, we dubbed it “Project Uno.” In Project August, dreamers intended to dream about the whole month of August 2014, but in Project Uno, the dreamers intended to dream about major headlines that will occur on August 1st. Another big difference about this mini-test was that the dreamers were on their own for this test. They received one shot to intend about August 1st and then they had to construct a headline based on their own dream, without any support or overlapping from any other dreams. The results were amazing because we had a 100% hit rate on these dreams. Even though this was a very scary proposition, there were a handful of daring participants. It was scary because the participants knew ahead of time that their dream was going to be made public right away, instead of keeping them private until August, like the bigger Project August repertoire. The timing of our hits for Project Uno was strikingly similar to Project August in that a small portion of the dreams came true a little early, some came true slightly late, but the majority came true right on time. So what sorts of things did we see in Project Uno? Well, the first two out the shoot were pretty eye-watering. About a week prior to August 1st, Phillip Seymour Hoffman made a major headline on financial websites even though this Hollywood star had been dead for about 8 months by that time. This made Dee Ann’s prediction the most accurate metaphoric dream I’ve come across. Then, NativeAmericanDreamWeaver stunned the NDC by correctly predicting the fate of a Michigan teen named April Milsap. Even to this day, it seems our dreamer was the only “real” witness to this massacre, but finding someone to listen to her evidence has been a challenge. When reading Elyse’s Project August dream about Koo and doing some in-depth research on this single dream visitor, it makes it hard to negate the fact that Elyse was visited by the ancient Mayan god, Hunab Ku. The dream itself was very lengthy, and in it, this Koo character explains all these different constellations that have since been all forgotten by humanity. In our extensive research of Elyse’s dream, we successfully established that the constellation highlighted by her dream mentor was undoubtedly Orion. 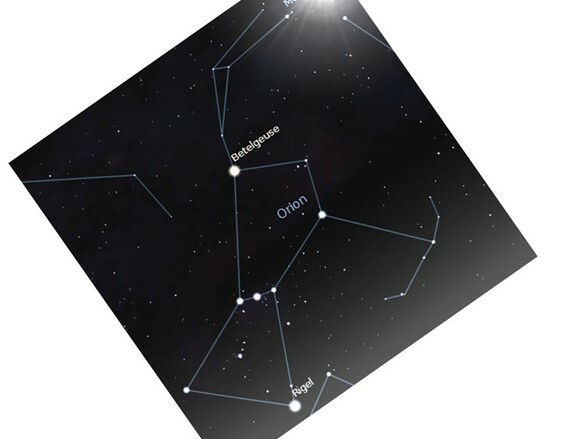 Now what’s even more fantastic is that later we found out that the old Mayan god, Hunab Ku, actually comes from the center of the Orion constellation. And then, as if that wasn’t enough, we found that all the ancient cultures actually worshipped an entity who was from the Orion Nebula and described it as the Heart of the Universe. And then, as if that wasn’t enough, we found out that even mainstream scientists have established a location in the Orion constellation where new stars are actually born into existence! Yes, indeed…all these phenomenal attributes about a single point in the night sky, a point just below one of the most easily identified formation of stars called Orion’s Belt. So, this particular dream ended up as number 4 on our list not so much because of the headlines it produced, but rather by the number of people that flocked to read it. This journey might accurately be described as magical, and the lesson that Koo left for us is this: Our world is about to change. What is incredibly synchronistic also is that Elyse included a second dream snippet in this writeup. Basically, she visited Koo, then woke up briefly to record it, then her next dream was all about birthing. Every character in that dream, including the animals, were all giving birth! Now, if we look at actual August news headlines, we don’t see a considerable amount of bombshell stories that demonstrate that our world has changed. However, I don’t know anyone who hasn’t felt this energy. There are many people feeling the waves of change; something is coming, and if Koo is right….look out! 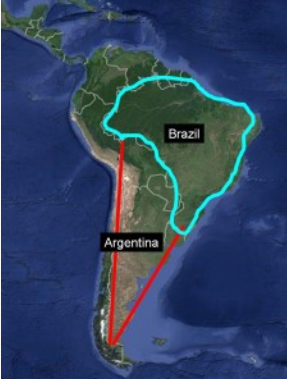 From there, several dreams came in talking about crop loss and more weather anomalies. We were forced to consider that this phrase might be about the northern hemisphere and created a predicted headline that said, “Unexpected cold front freezes major August crop harvest” (PA Headline #31). 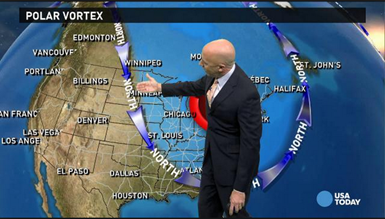 In about 5 weeks from publishing that headline, we began hearing about a strange weather anomaly called the Polar Vortex, where cold Artic air was going to drift down and cool off a major portion of the continental United States and Canada. In subsequent news, we found that that almost 100% of the Northern States’ 2014 grape harvest was obliterated by the unusual weather. Grapes can be an August harvest, as they are reaped between August and October. Grapes are indeed a major crop because we don’t just eat them, we drink them as wine and other delicious beverages. Oops, not this year…. 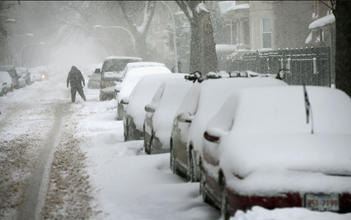 This whole icy-food, Polar Vortex meme is a star example about how to create more accurate and reliable predictions: We pick out linguistics that are clear and congruent (i.e. overlapping) with one or more dreams of the same events/memes/actions/outcomes. When dream material overlaps directly with the linguistics, the probability of the prediction coming true increases in relation to how clear and congruent that overlap. In the case of the frozen grapes, this high scoring prediction paved the way to that revelation and thus deserves a very high position in this lineup. Enough said…Dallas. That’s really the only clue we were given in the first few daily DreamBot runs ever conducted. It was our very first big bombshell meme established by the new DreamBot4 in mid-August 2014. But what do you do with a one-word hint? 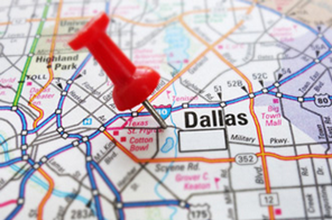 Here we are with a single word implicating Dallas in a big possible headline in the future. However, sometimes big memes that appear in the linguistics can represent “day residue.” If some team just won the Super Bowl, there might be a lot of dreamers suddenly dreaming about that team in the week following the game. That would be day residue. However, there wasn’t a real, substantial, day residue explanation for this Dallas meme. Therefore, we hypothesized that something big was coming in Dallas, but we desired more detail from the dream incubation team. During Project August, we realized that some amazing data can be collected and analyzed for specific details about future events. All that’s required is to simply ask for a dream about the future, and you can specify the topic, the location, the date, etc. Many times you don’t get exactly what you think you need about a future event, but when pooled into the greater context of collective incubated dreams, this modality is very potent. August 23: Predictive headlines are developed based on incubated dreams for the time period ending JUST prior to the actual Ebola event. 95+% success on the initial headlines, including Napa Valley’s huge earthquake, the hoaxed Twitter bomb threat on the plane from Dallas, and the gas explosion near a Dallas day care center all came true within a couple of days. Dream Incubations: Dreamers come up empty on terror/mayhem events coming up in Dallas for the period ending JUST prior to Dallas’ Ebola news. In other words, dreamers were told to incubate dreams about whether Terror would occur in Dallas during the period Sept 6th through about Sept 25th. September 30th: On this date, all the emergency response members in Dallas were literally covered in white, as the US’s first Ebola case is confirmed. The full explanation, timeline, and conclusions can be found here. Dallas was huge in many different aspects. First, this meme was our only meme so far that showed up in 3 different versions of the DreamBot. Second, it demonstrated not only that dreamers can incubate about specific details of the future, but this method can actually work to weed out possible events. For example, the dreamers specifically told us that there were not going to be any terror-related events in Dallas during that timeframe, and we were able to correctly cancel the erroneous connection between Dallas and Terror. Also, this was our first big statistical layout, making the case that big changes in dream linguistics can offer big insight in what is coming in our future. Dallas also confirmed the concept of the closer bush vs the further tree. In other words, dreamers sometimes end up seeing something smaller and nearer as compared to the bigger event that is further away. 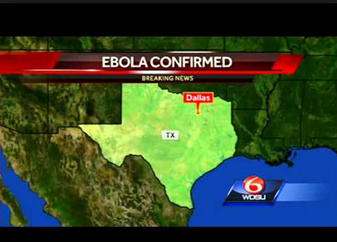 We actually warned about this just prior the Ebola event. Most importantly, Dallas was extremely helpful in demonstrating the concept of our future Paradigm 1 team. Dream incubations can see future events, and the effectiveness of the modality is multiplied exponentially with the amount of people participating. Dallas…..so many great lessons and important hits. What an incredible meme indeed! What NDC prediction could possibly surpass the Dallas meme? On July 16th, 2014, one of Tessie’s Project August dreams overlapped with some other people who were seeing chaos in a big metropolitan areas. Our dreamers were fleeing for their lives because of significant riots and strife. As we’ve already established many times already, the NDC seeks dream overlaps to help us triangulate the future, and this particular overlap that was dubbed “Unusual Violence/Running from Violence,” helped establish Proj Aug Headline #90: “Violence hits new highs in wake of emergency/riot in major US metropolitan area (Chicago?) and/or European metro area (Berlin?). Going into August, we had two totally separate memes that could have been combined, but our lack of experience prevented us from connecting the dots. There was: 1. Chaos/riots coming to a metropolitan area, most likely Chicago and 2. Race-based conflict. There’s no better teaching method than experience itself. 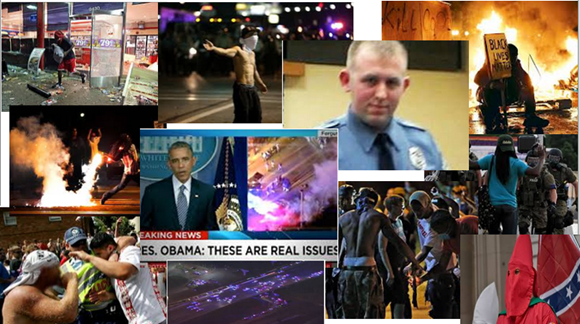 After the Michael Brown case and the resulting riots in the outskirts of St Louis (a huge metropolitan area relatively close to Chicago), the light bulb came on: These two memes are from the same event! Case Closed. So why is this #1? Reason #1: The sheer bulk of headlines from the race-based riots is amazing. For example, here is a sample of headlines from NBC News about the event. This long list doesn’t include any news from anywhere else on the web and successfully indicates the level of attention this single story has received throughout the last 4+ months. Reason #4: Not only was the National Guard been dispatched in St Louis, but the “National Guard Presence Ramped up Significantly.” This level of military oversight is non-existent for any other of our top ten list. Reason #6: We’ve seen hyper sensitivity over racial disequilibrium growing exponentially across America. Plus, we’re seeing strikingly similar events in different cities. In New York, a white police officer named Pantaleo was caught on film confronting and apparently killing the black Eric Garner. 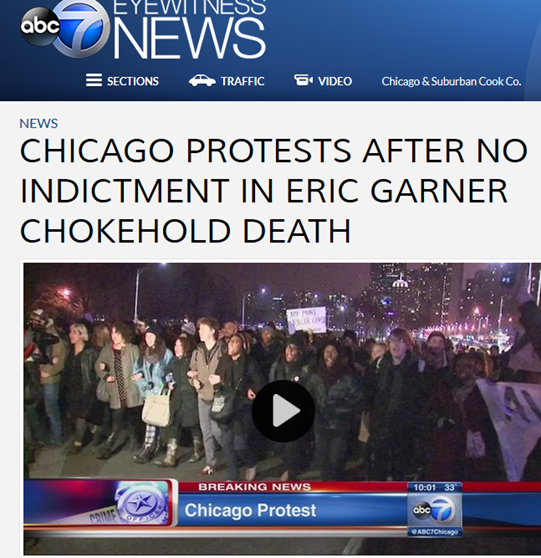 Protests again spread across the country, including downtown Chicago, where they shut down Lake Shore Drive. Baltimore protestors took out an even bigger interstate in a similar manner, but the biggest looting might have been Oakland. Reason #7: The allegations, facts, and witness accounts are shrouded in mystery, leaving a large speculative door open for the big A word: Agenda. Here’s what I wrote in the original article warning about a racial conflict. “DON’T forget: The DreamBot reads the collective unconscious, and therefore, it might have picked up an agenda. In other words, the collective landscape might be a result of what someone wants us to think. After all, look at all the headlines above. We might actually see the Uno dream play out as a false flag event, and specifically because they see (through their own linguistics) that humanity is primed and ready to hate each other. Well I’ll be…. This group of police officers appears to be half white and half black. I’m sure that the proportion across America isn’t 50%, but it begs the question of whether mass media and/or the Eric Holders of the world might be over-representing the white police officer actions in order to push some hidden agenda. Just a question, not a push of my own agenda. Next question is: Aren’t there any white protestors? 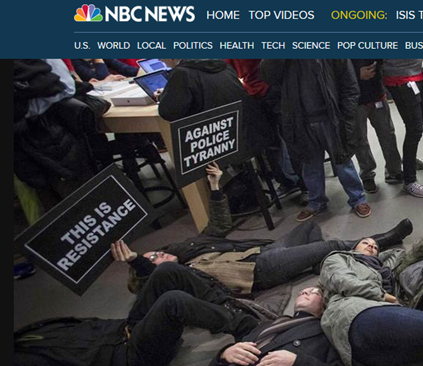 Hmmmm…let’s go back to that recent “Die-in” protest in the Missouri mall. Here’ s a picture. See any whites? Although it’s hard to tell the exact proportion, I’ve got to say that it almost looks roughly close to the same percentage of mix as Drudge’s police picture! How about another protest picture? Wow! Are my eyes deceiving me or are there actually more whites in that protest than blacks? I’m personally one who can’t stand pointing out and counting different races. I don’t make this a habitual practice, but I do it here because I really do see the inkling of a slanted story. Is America’s youth rising up against racism from the police force, or are they activists against police brutality? Newsflash: there are black police being violent against white offenders, black offenders, and hispanic peoples. There are also white police being violent against black offenders, white offenders, and hispanic peoples. I’ll even bet there are hispanic officers beating the fool out of blacks, whites, and hispanics. There are white protestors, black protestors, and all other races participating. The point is quite clear to those who can look objectively at the evidence. As debt-based monetary systems enter their terminal stages (especially exaggerated by fractional reserve banking and interest rates), history has repeatedly shown that oppression marks that final drawdown period. In short, this is completely NORMAL, and the answer isn’t to band-aid a fake relational gap. The answer is to change the root structure to one that supports its citizens rather than enslaving them in debilitating debt. We need a holistic community that investigates problems for deep root causes, rather than placing band-aids on the symptoms. The hardest part is gaining a system that eliminates the need and/or monetary incentive for big corporations to control the very thought patterns of the people they are supposed to support. And with that, I’ll leave you to your vices and imaginations, for all those Utopian explorers have all failed in the past. The point is….Utopias don’t exist and cannot exist, but we CAN have a better system than what is in place today, and by all means one that transcends the need to analyze, count, or otherwise discriminate based on one’s skin color. Our collective level of consciousness does matter, but first we have to have a system that supports a higher one.